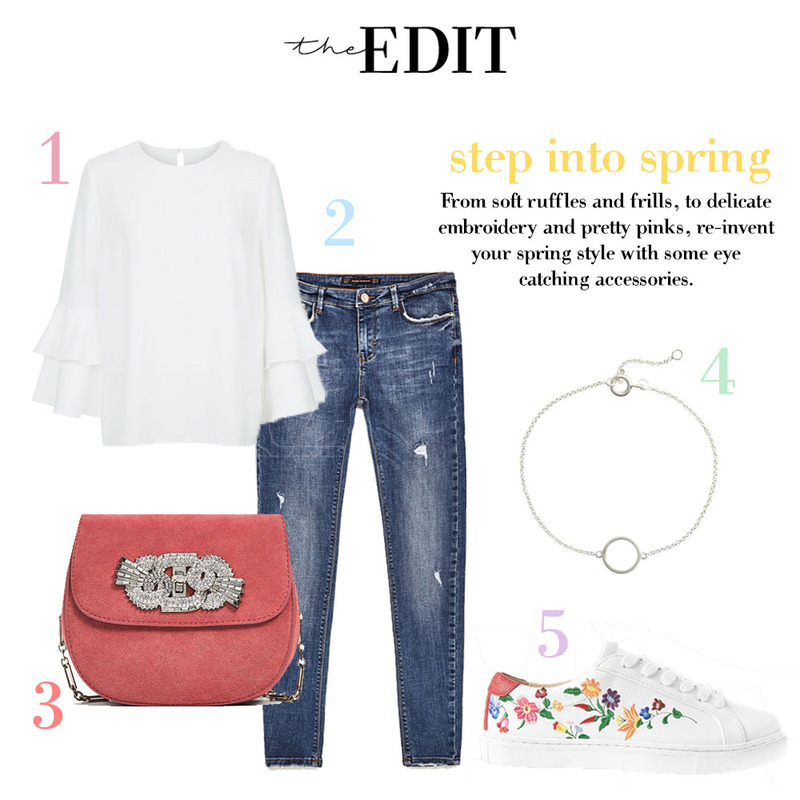 From soft ruffles and frills, to delicate embroidery and pretty pinks, re-invent your spring style with some eye catching accessories. I love this outfit - perfect for the pub garden or a bit of retail therapy. A simple white blouse and ripped skinnies seems to be a look that never dates and I think it's the perfect base layer to be have a bit of fun with accessories. The Zara pink number is definitely a show stopper, at £49.99 it's slightly pricier than your usual mini crossbody bag however the unique detailing and strap is enough to add a bit of glamour to any casual outfit. Marks & Spencer have been working their way up the style stakes for a while now, dipping into the trends and appealing to a somewhat younger market - I think these on trend floral embroidered trainers are fab. Plenty of colour, meaning you will never be short of options to team them with.